Each Hole Offers a Choice of Separate Tees matching the Course to any Player. 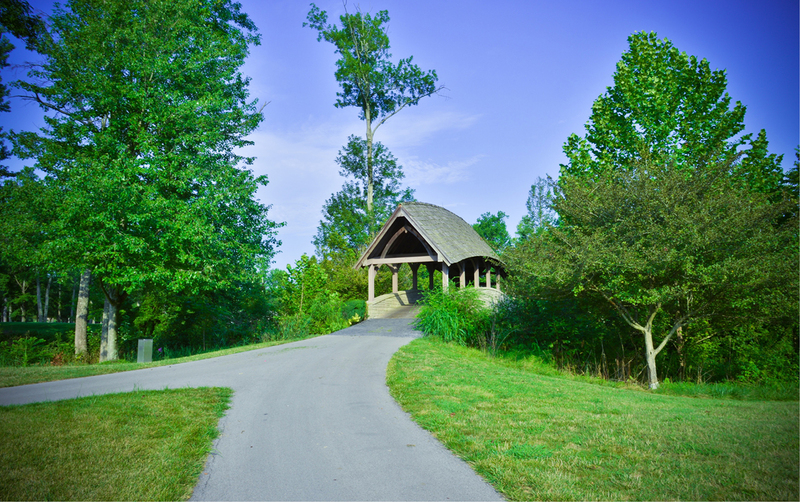 Covered Bridge is a Fuzzy Zoeller/Clyde-Johnston-design 18-hole golf course carved through the gorgeous landscape of southern Indiana. Each Hole of this par 72 layout offers a new and exciting challenge from tee to green. 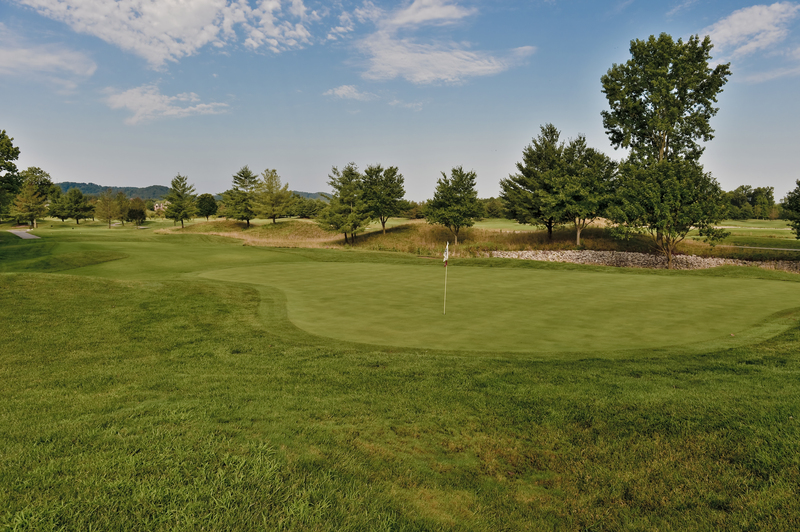 Paved cart paths bring these 18 holes together connecting tee boxes for every golfers skill level to the Zoysia grass fairways throughout the course. Multiple lakes and strategically placed bunkers add to the beauty of the slightly undulated greens. Covered Bridge is a demanding yet fair test for every golfer. This is an excellent starting hole with the tee shot straight away, not difficult. Second shot requires good direction. Left or right of the green could be a difficult up and down. A very demanding tee shot due to trees on the right and left. A good tee shot will leave a medium iron to the green. Over the green will be a very difficult position to play from. A medium to long iron par 3. The left center of the green is the safest play. A long tee shot avoiding the left fairway bunker will leave a medium to long iron for second shot. Keeping the ball below the hole is your best play. The tee shot favoring the right side of the fairway is your best play. Second shot should favor the center to left side of the fairway. A well-played second shot could help set up a possible birdie. A tee shot favoring the left side of this spacious fairway will leave the best angle of approach with a medium to short iron. A tee shot on the left side of the fairway will leave the best angle to the green that must be hit. Missing this green could make for a very difficult up and down. A long iron to the center to left center of the green is your safest play. Water right and bunker short right help to make this a fairly difficult hole. A tee shot up the right side of the fairway is the best play. A second shot favoring the right side of the fairway will leave the best angle of approach for your third shot. A good distance on your second shot is a must to this shallow green. A straight tee shot on this narrow hole is a must. Second shot played with a medium to short iron should be kept below the hole. Your tee shot placed on the right side of the fairway will leave the best angle of approach. The left greenside bunker could be a difficult up and down because the green slopes away. A long difficult par 3 with a well bunkered green. A three on this hole is very satisfying. Favoring the right side of the fairway will leave the best angle of approach to the green. Hitting this green is a must because up and downs prove to be difficult. A long tee shot down the left side of the fairway could give a chance of reaching this green in two. Favoring the right side would leave the best opportunity on your third shot to get the ball close to the hole for a birdie opportunity. A long iron or fairway wood aimed toward the right fairway bunker would be the safest play. Second shot needs to be on the ridge running through the center of the green from front to back. This is the longest par 4 on the course. It demands a long straight shot avoiding a bunker on the left side of the fairway. An on-target second shot is a must to this well bunkered green. This par 3 requires a short to medium iron shot placed on the right side of the green is the safest shot. The left bunker could make for a difficult par. Your tee shot should favor the left side of the fairway as to avoid the water. A well placed layup shot with a short iron will widen up the green. Exact distance on the third shot is a must because of very little depth. Covered Bridge features one of the areas most spectacular practice facilities. 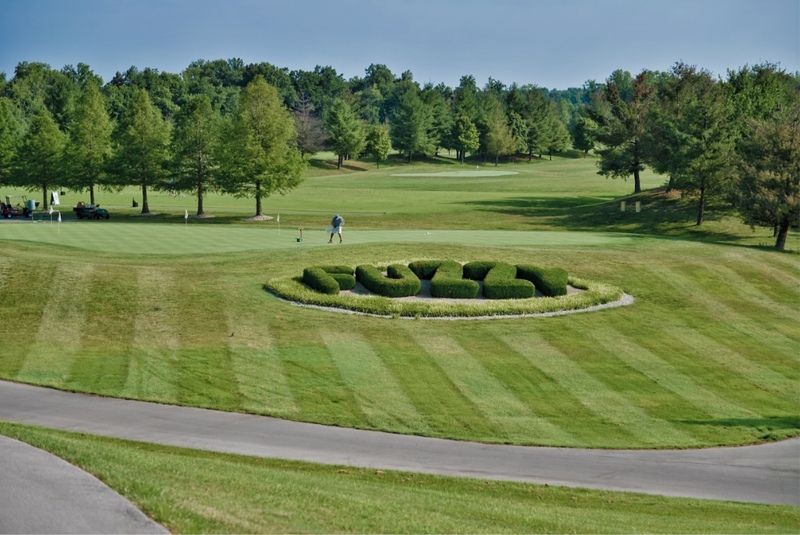 Our practice facility offers the members the ability to work on their full swing on our practice tee, fine tune their putting stroke on one of our two putting greens, or hone in your yardages in our short game area. 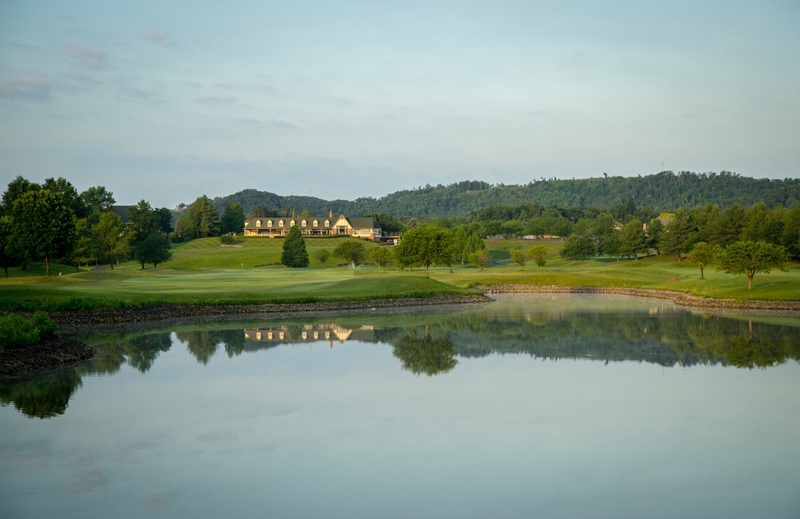 Stay & Play packages are available at Covered Bridge & Champions Pointe Golf Clubs with our local hotels partners. Packages start as low as $128 per person. 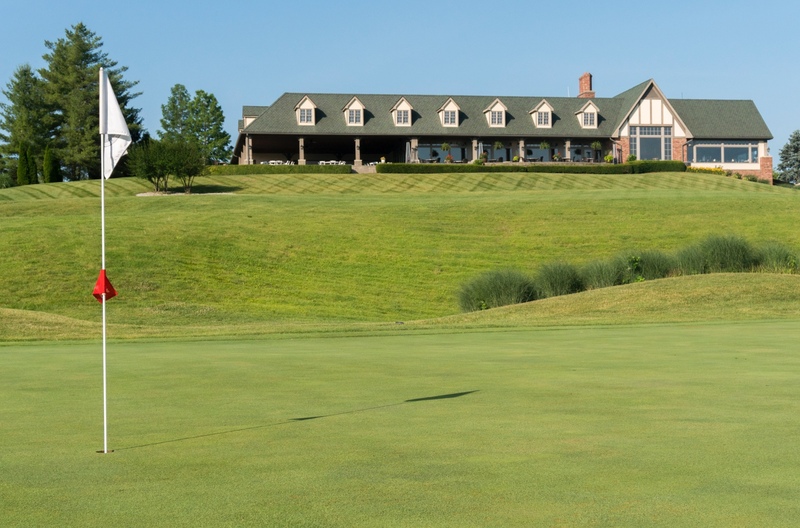 Stay & Play packages include one night’s lodging at your hotel, 18 holes of golf with a cart at either golf course, complimentary range balls and taxes. Most packages include a minimum of a continental breakfast. 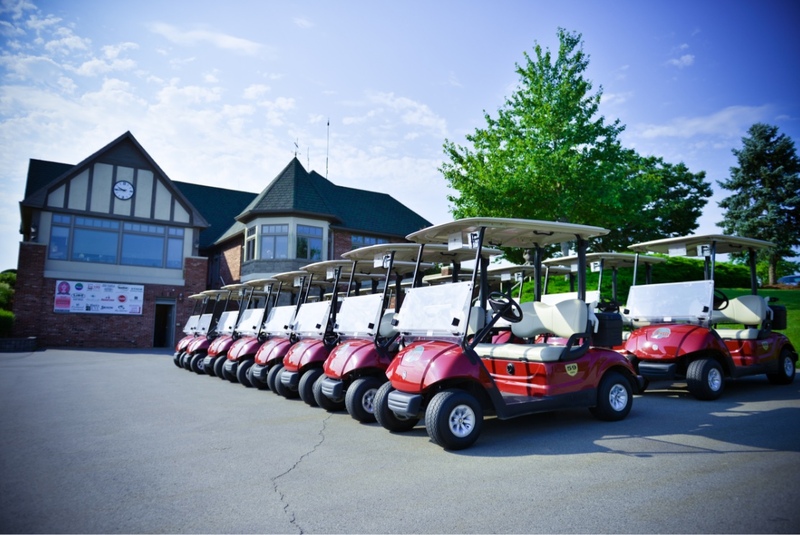 Are you planning your company golf outing? Or are you working with your favorite non-profit organization to raise money? 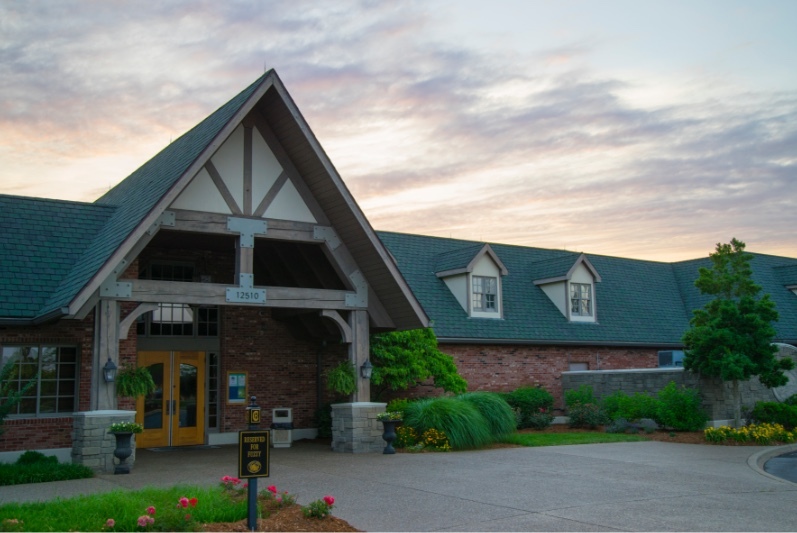 Covered Bridge Golf Club is the perfect place to hold your next golf outing in the Louisville, Kentucky and Indiana area. Receive the latest updates on Covered Bridge news and promotions.